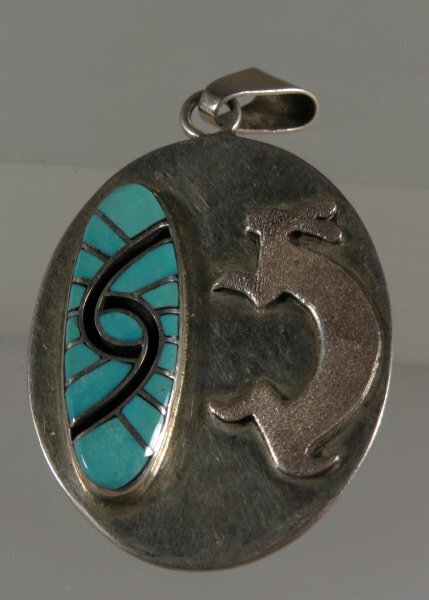 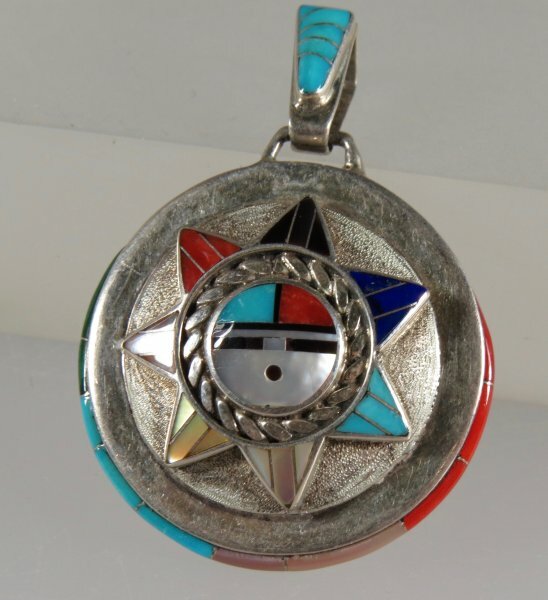 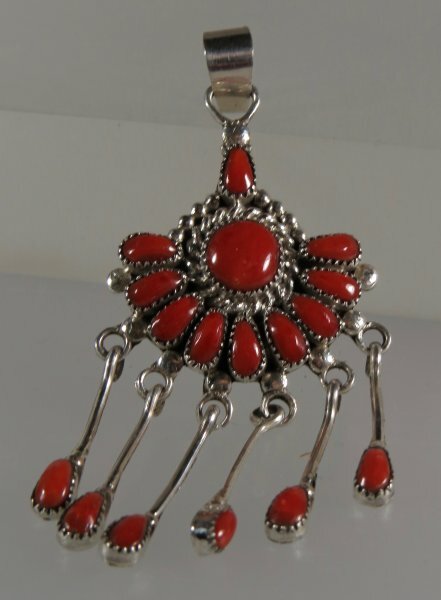 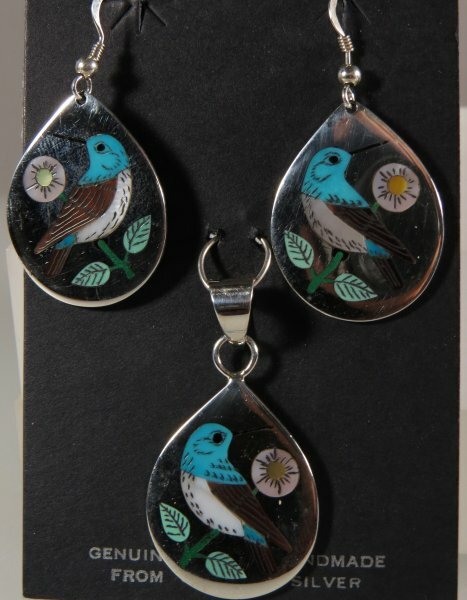 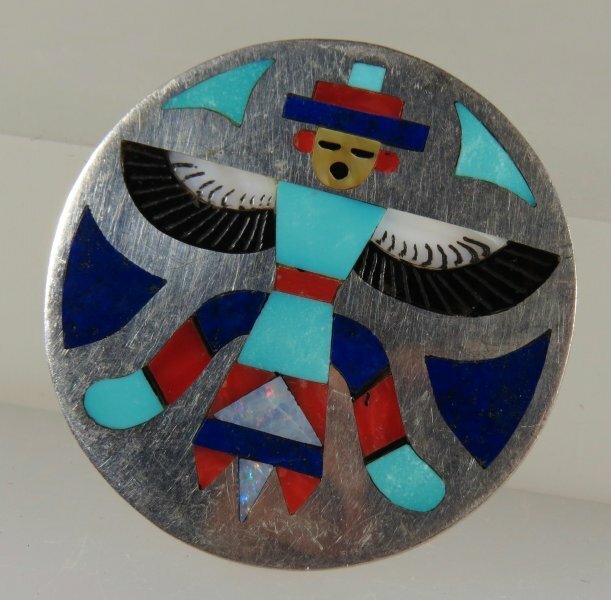 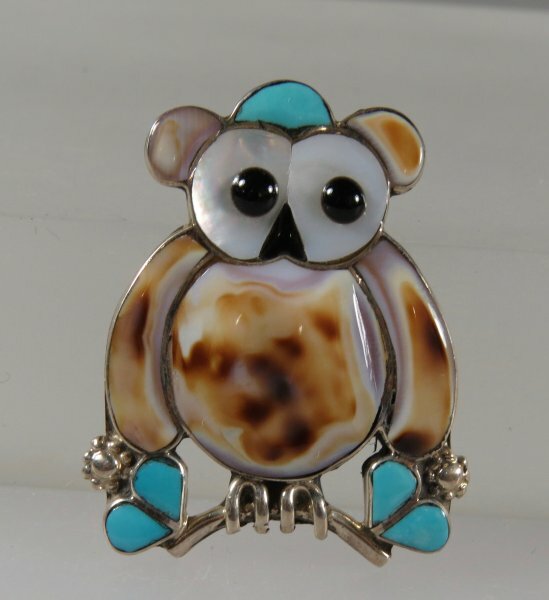 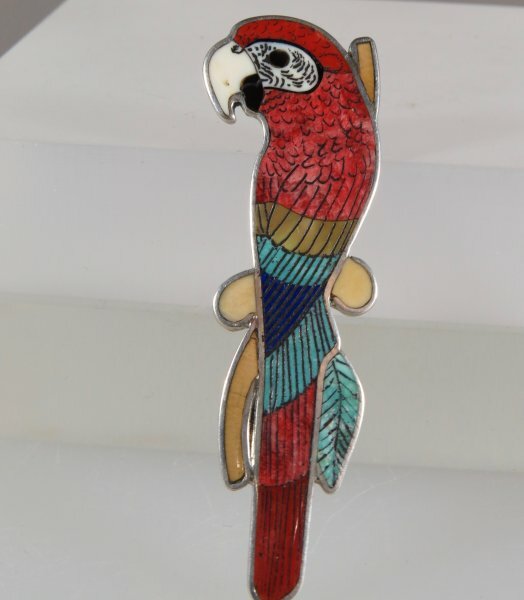 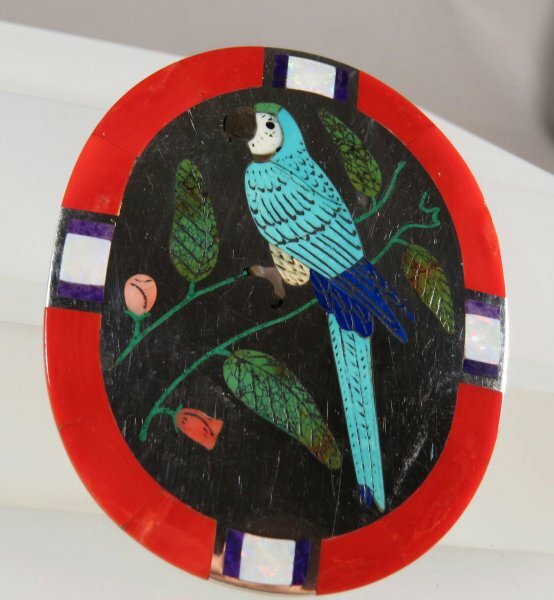 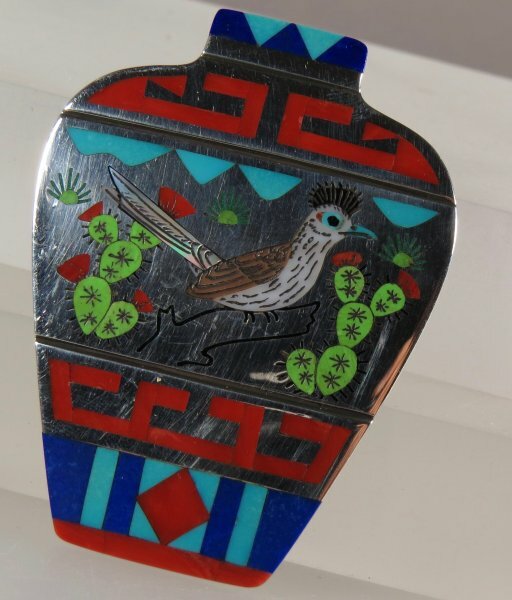 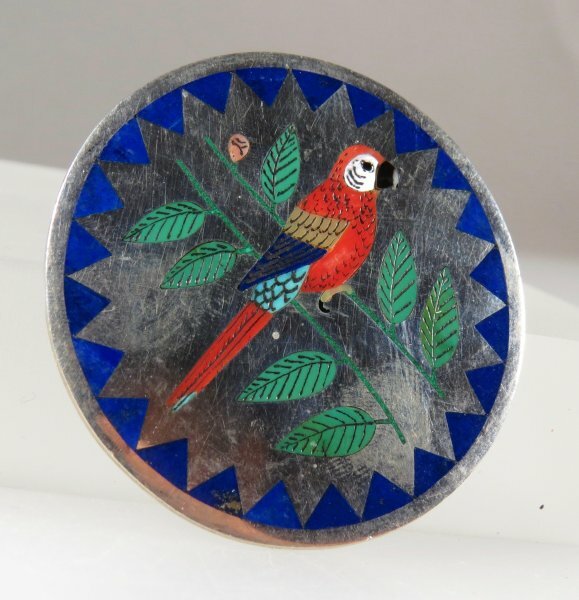 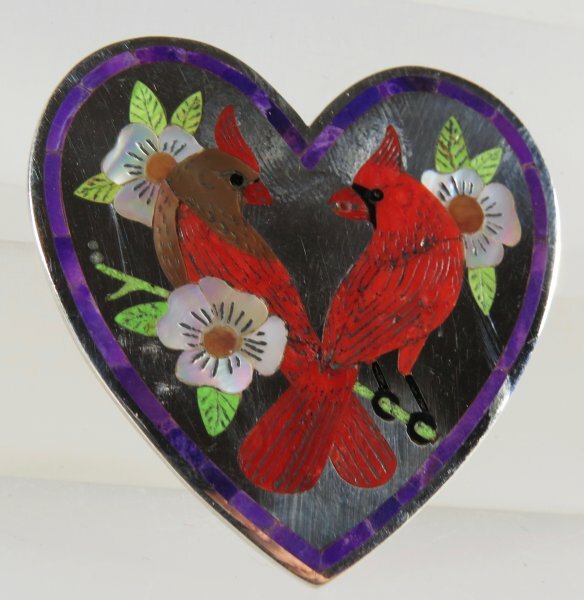 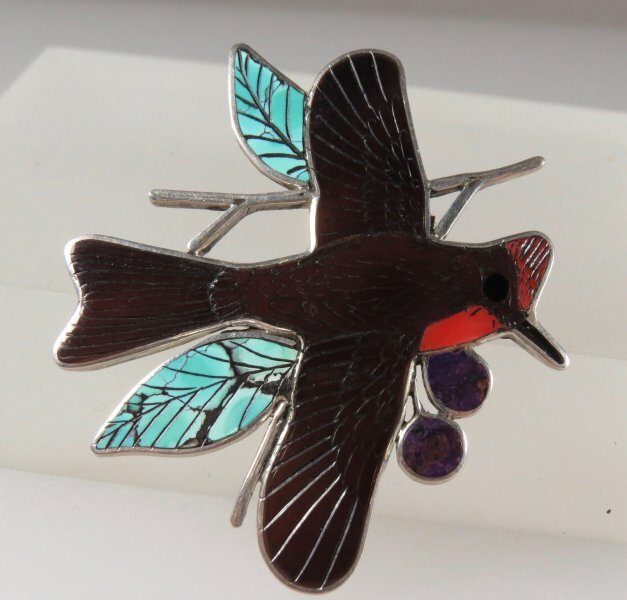 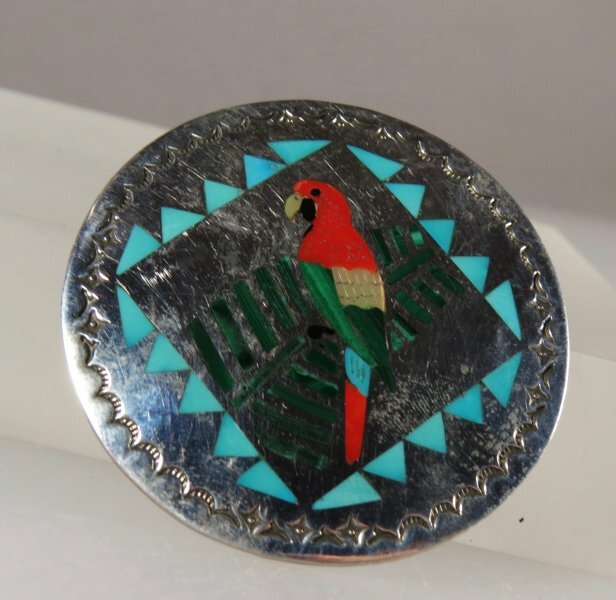 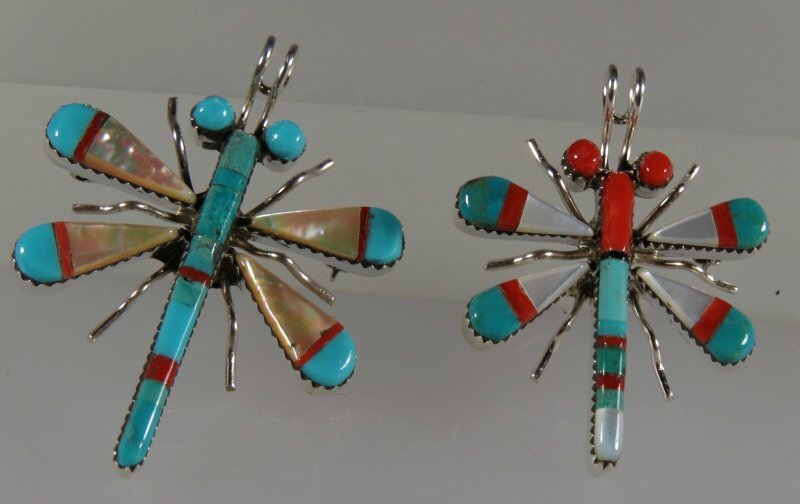 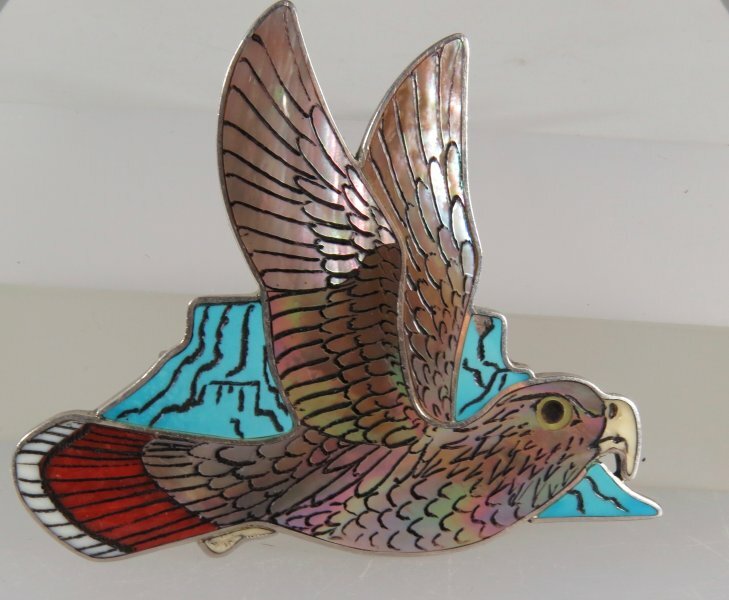 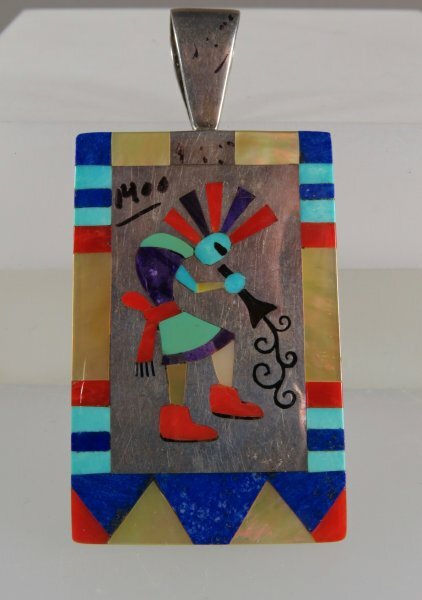 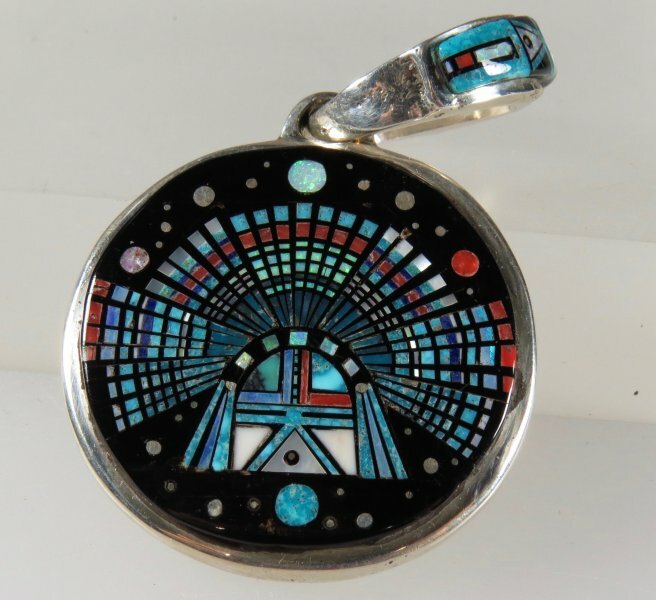 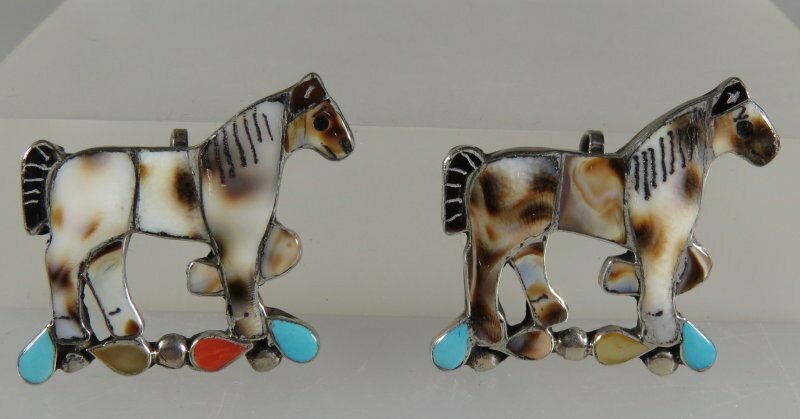 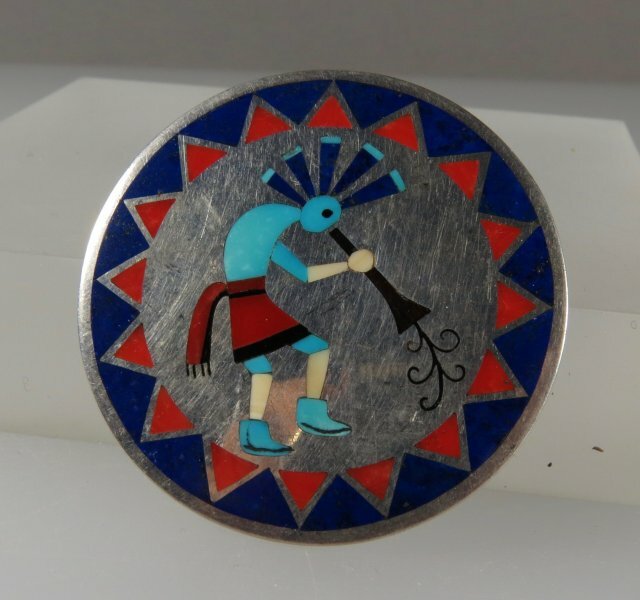 Particularly beautiful are Zuni pendants that can be worn as pins, attached to clothing. 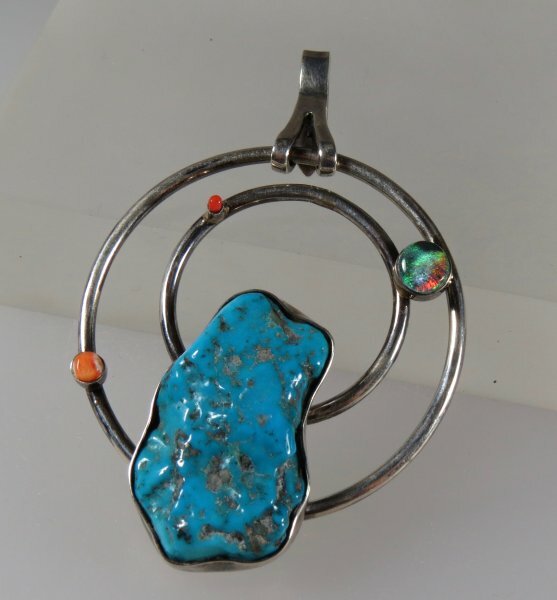 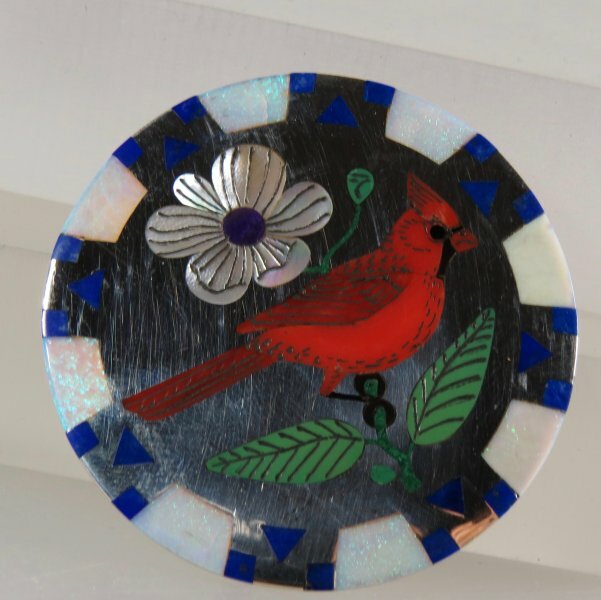 They range in size from very small to large (2 ½”) round or oval pin. 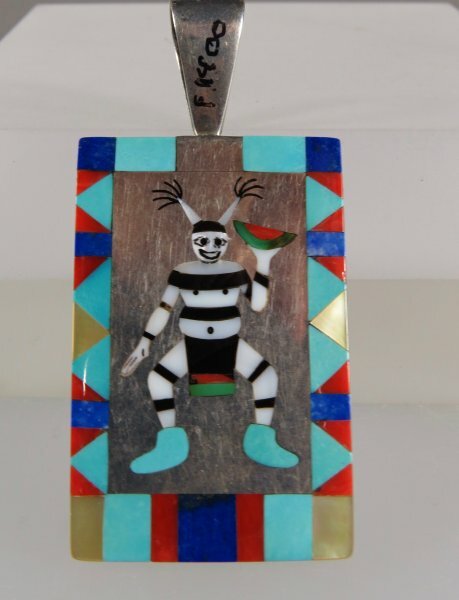 We are offering pieces by: Julie Lahi, Burdeen Soseeah, Lee & May Weebothee, Joseph Eustace, Benji Tzuni and Lorraine Waatsa.